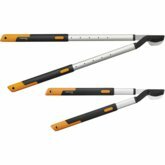 Fiskars Telescopic Garden Fork features four sharp and firm prongs especially useful for hard and stony soil when weeding and aerating or turning soil. 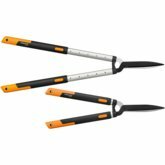 The adjustable shaft length from 1050mm to 1250mm means the spade can be comfortably used at a range of heights for both taller and shorter gardeners. 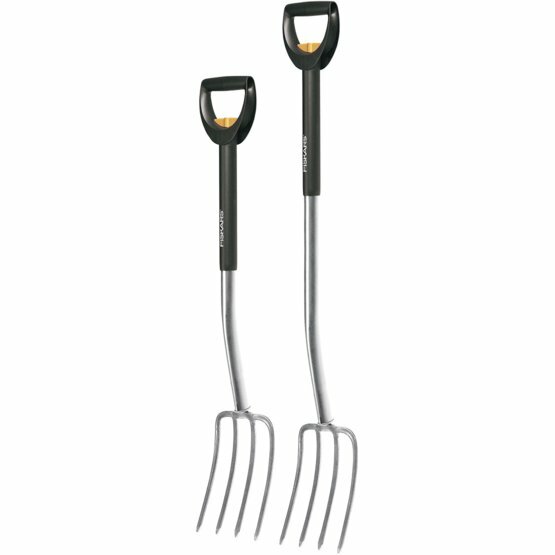 To further add to the ergonomics of this versatile garden fork, the D shaped handle means that all hand sizes, with or without gloves, can easily use the range of products. 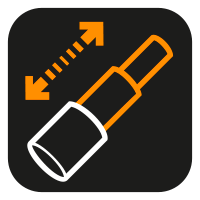 Like the majority of other Fiskars stick tools, the prongs are made of boron steel which adds extra strength and makes penetration into the soil easier. The lifting angle of 13º makes this fork comfortable to use under most conditions.